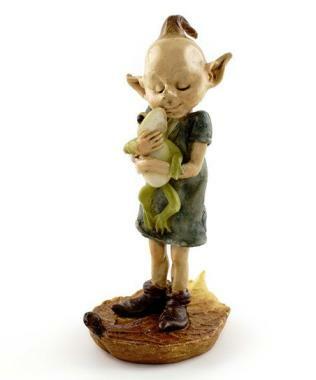 Pixie hugging a frog. Standing on a leaf base. - Handle with care, can break if dropped on a hard surface.